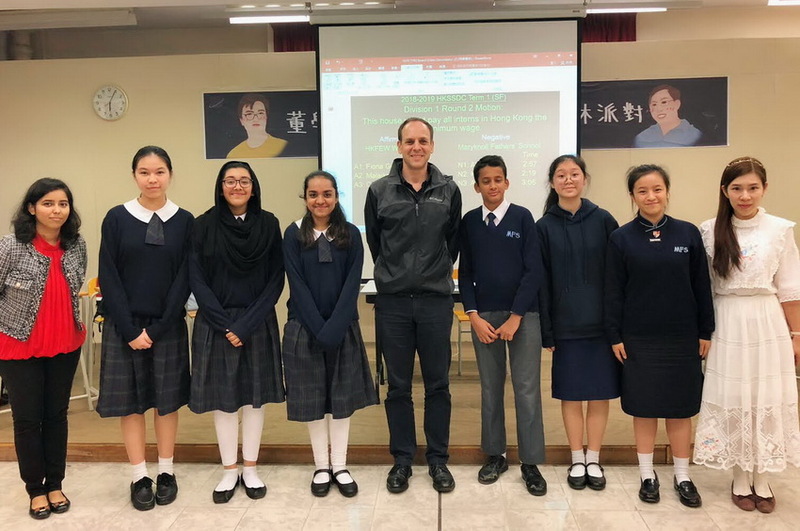 A debating competition (Term 1 Round 2) organised by Hong Kong Secondary Schools Debating Competition (HKSSDC) took place at HKFEW Wong Cho Bau Secondary School yesterday. The MFS English Debate Team won the match and our third speaker, Ashley Ho (3A), received the Best Speaker Award. Congratulations on the team's remarkable achievement!